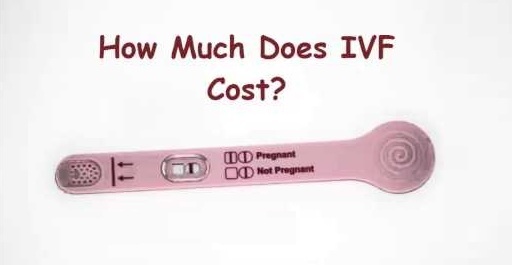 IVF Cost - What is the Average Cost of IVF Treatment in India? I VF Costs are pretty much sensible when compared with the cost of the treatment in their own country. Few nations laws are also strict enough against the IVF Treatment whereas in some of the areas, there is large degree openness for IVF treatment with less cost with respect to aggregate costs. In India, Couple from various countries visit so as to get the IVF treatment at lower costs. I nfertile parents always dream of being the parent and IVF treatment offered by Dynamic Fertility and IVF Centre is the way to become parents. India has now turned over into the favourite destination for the treatment. Treatment of IVF from Dynamic Fertility and IVF Centre is a choice of fruitfulness and along these lines opened new boulevards for regenerative therapeutic tourism known as ripeness focuses. Critical moment is expanding number of individuals from different nations in India generally advantageous and Low Cost IVF India. Couples who need to have a child, Dynamic Fertility and IVF Centre is the option to be clicked in their mind to resolve their issue with infertility. With the advancement of medical sciences, the experts here offerstreatment with the latest technology equipment. Experts of here offers fruitlessness treatment to the patients withcomfortable stay. All the patients who have all been treated in past ae much satisfied by the management and serious about their recuperation and program furnish patients with best low cost treatment for IVF. Cost of all the treatments provided in India varies widely across the location in which it is provided. Minimum amount charged for an IVF treatment ranges between Rs. 60000 to Rs 80,000 on a n average whereas it may extend up to lakhs. Many of the couples who do not have enough knowledge or the due to lack of analysis of the treatment and the hospitals, they spend Rs 3 lakhs to Rs. 5 Lakhs. This high may also be due to the reason that they are made to undergo some additional treatments or tests. Cost of the IVF in varies across the countries, states and cities therefore, many international patients travel to India to have the IVF treatment due to reason that same treatment is provided at nominal amount in India and also have multiple plan or packages to choose from. IVF treatment at Dynamic Fertility and IVF Centre costs within 90,000 to 1,25,000Rs whereas it may differ depending upon the extra medical treatment required. Age of the women under treatment determines the success of the IVF treatment. If the women under treatment is under the age of 35 yrs then the rate of success is 32 percent with her first IVF treatment, and fro the women over the age of 39 years, five or more cycles of IVF treatments are required in order to get pregnant. Thus, the cost of the treatment will vary depending on the age of the women and thus the no of IVF cycles required. Couples with the low fertility levels requires donor for the sperms or the egg based on the requirement. Cost of sperm donors lies in the range of 8000 to 12000 rupees. Cost of donor eggs lies between 28,000 to 42,000 rupees which is much higher than that of donor sperms. Couple prefer to get their embryos frozen so that they can be used in future on requirement basis. Frozen embryos can then be transferred into the uterus in later stages as per the convenience of the couple. Cost of this can range between 20,000 to 30,000 Rupees. However it does not involves the cost of surrogacy, if the women herself cannot carry the child. TESA is sperm aspiration and extraction procedure which is suggested for men who have undergone vasectomy, but wish to have children. This is 30 min procedure performed under local anaesthesia where the thin needle is used to extract the sperms directly from the testicle. Cost of TESA ranges between 12,000 to 10,000 rupees. ICSI is used for the couples facing male fertility issues like low sperm count or poor sperm quality. In this procedure, single sperm is injected directly into the egg and it increases the chance of successful fertilization. Cost of ICSI ranges between 20,000 to 45,000 rupees. Process of freezing embryos is very common nowadays in the early 20’s and 30’s for the women who wish to pursue their career and raise children in 40’s. Cost of embryo preservation is the combination of initial cost of procedure to be followed by the annual charges of keeping the eggs frozen. Initial procedure costs between 20,000 to 30,000 and one has to pay additional 4000 to 6,000 rupees for preserving them each year. As the cost of the treatment various location to location, choice of the clinic for the treatment should not be made only on the base of the cost alone. Check the review of the fertility clinics and take feedback for the patients who have undergone treatment form there in the past. While the IVF treatment seems expensive, they are fairly reasonable considering the sophisticated medical technology used, and the expertise of the doctors. It is preferred to have the IVF treatment from Dynamic fertility and IVF centre as it offers treatment by highly skilled experts of the field and that too at reasonable prices. Also, the review of the patients who have undergone the fertility treatments from here are also good. Therefore, Dynamic Fertility and IVF Centre becomes the choice of the patient with the problem infertility to have the treatment from here.